Whether for my personal pleasure, or taking clients to prospective homes or relaxing with family and friends, boating remains my most favorite way to get around the local towns and villages lying along this magnificent part of the east coast. The gentle lapping of the currents and cooling breeze, the call of seabirds and the friendly folk waving from shore as I pass by, all make for memorable outings and fun trips. 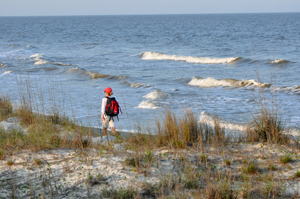 Incredibly, just around this area of Hilton Head Island, there are a number of different options to enjoy the water – from kayaking to shark fishing. Both the ocean and the waterways, along with lagoons, marshes and tidal creeks provide endless hours of pleasure for individuals, groups and families. Once you and I begin exploring the real estate along the South Carolina Coast, the potential of a whole new world of leisure activities opening up is a real possibility – in fact, a brand new way of living that you didn’t imagine was possible to enjoy from your own front yard! The great thing about this area is that regardless of which type of property you prefer to own on Hilton Head SC – whether it be an oceanfront villa or a beachfront home or a property on the waterfront – all of the real estate for sale provides easy access to a life of luxury on the water. Although cruising along in a boat is for me the most relaxing way to spend time on the water, many folk prefer jet-skiing, parasailing or hiring a kayak to get up close and personal with nature. The waterways are perfect for paddling, and if bird-watching is your thing, you can be assured of hours of pleasure seeking out the calls and colours of all the many different species. 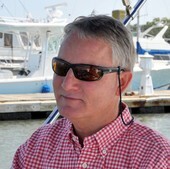 If you prefer to sit back and let someone else do the driving, there are plenty of companies offering cruises out at sea or taking a gentler approach via the creeks - whether fishing for seasonal catch such as Bass or the local Redfish, or dolphin watching, or just hanging out and watching the sun going down. 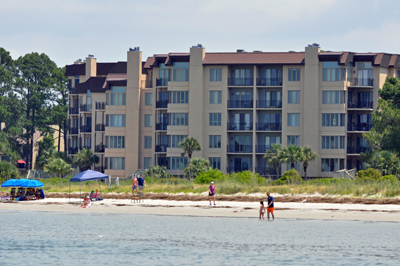 Most of the millions of annual visitors benefit from Hilton Head Island’s completely unique waterfront location, as a location that effortlessly affords to access a variety of leisure spots and activities, assuring each and every tourist of having a really great time. Testimony to this natural paradise, as well as the friendliness and easygoing rhythm of the permanent residents, is the number of visitors that return for their annual holiday, who then often ending up buying into timeshare developments, even investing in a second holiday home or making the move to a permanent residency. perfect new home with you. Next time you’re out on the island for your vacation break why not pop in; let’s talk living on the water.